General Motors will have up to 500,000 vehicles on the road with some form of electrification by 2017 with a focus on plug-in technology, the company’s top product development executive said Wednesday. 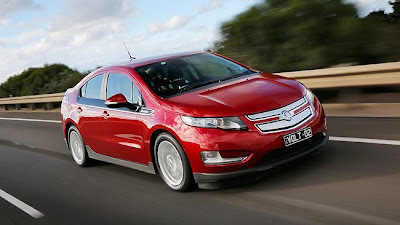 The plug-in Chevrolet Volt extended-range electric vehicle, introduced in 2010, has become more than a statement for GM in the electric vehicle space, Barra said by satellite from Detroit. Learning from the Volt is being liberally applied to the Chevrolet Spark EV, which will go on sale next year in the certain U.S. markets and South Korea with other markets to be announced soon. “We’ll meet requirements set by certain regulatory agencies, but we’re not building the Spark EV to check a regulatory box,” Barra said. GM is on track to sell more than 50,000 vehicles this year with electrification – between the Volt and eAssist light electrification technology on the Buick LaCrosse, Regal and Chevrolet Malibu. The 2014 Chevrolet Impala also will offer an eAssist model when he debuts next year.